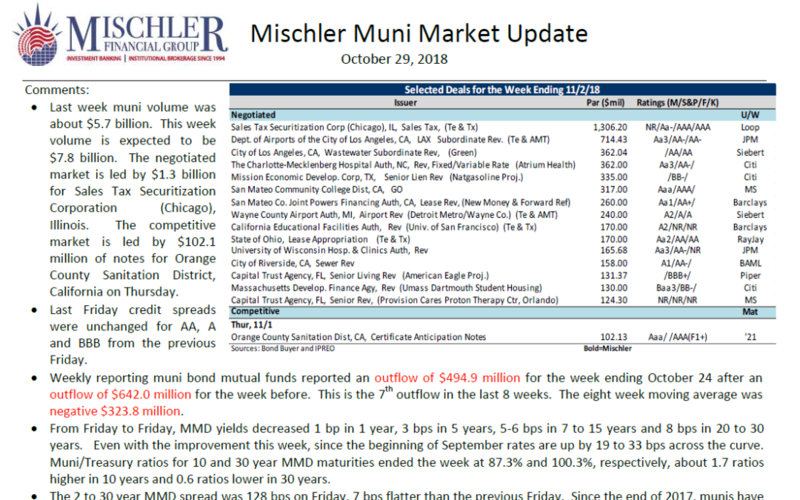 Muni Market Debt Offerings Scheduled for Week of October 29, 2018- Mischler Muni Market Outlook provides public finance investment managers, institutional investors focused on municipal debt and muni bond market participants with a summary of the prior week’s municipal bond market activity, including credit spreads and money flows, and a look at pending municipal finance offerings tentatively scheduled for the most current week. 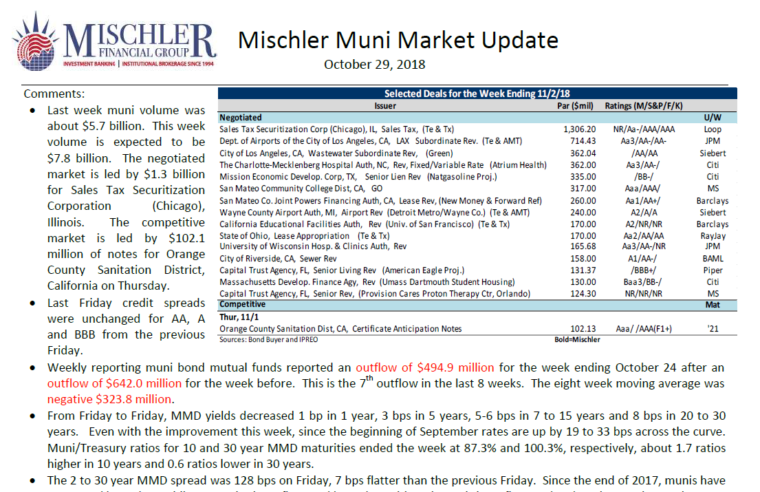 Last week muni volume was about $5.7 billion. This week volume is expected to be $7.8 billion. 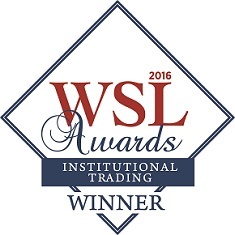 The negotiated market is led by $1.3 billion for Sales Tax Securitization Corporation (Chicago), Illinois. The competitive market is led by $102.1million of notes for California on Thursday.